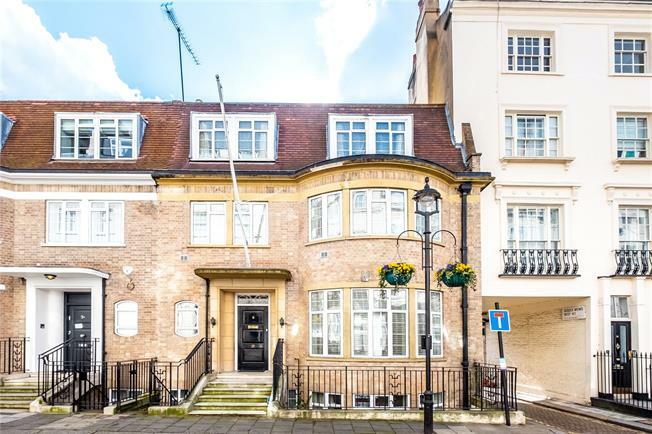 6 Bedroom Terraced House For Sale in London for Asking Price £4,750,000. This spacious family house providing flexible accommodation of up to eight bedrooms. The property benefits from two roof terraces and double length garage, and is conveniently situated by Lancaster Gate and Kensington Gardens (Hyde Park). Bathurst Street is located just north of Hyde Park, and is within easy reach of the beautiful Italian Gardens on the north side of Kensington Gardens. Shopping, cafes and restaurants are available in the nearby Connaught Village. Located in one of the best connected areas of central London, nearby transport links include underground services from Lancaster Gate (Central Line) and Brunel's Grade I Listed Paddington station (Circle, District, Bakerloo and Hammersmith and City, in addition to National Rail services, Heathrow Express). The much anticipated CrossRail (Elizabeth Line) due later in 2019 will connect London east to west with a major new hub at Paddington. We are awaiting information on any charges.